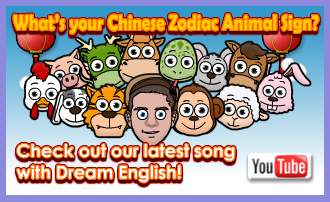 Welcome to our Chinese Zodiac Zone. Happy Chinese New Year from Cambridge English Online! - Find out which animal year you were born in and which famous people share the same Chinese Zodiac sign. - Download and print your own fun Chinese New Year Posters. If you think it's fun, why not send it to a friend?